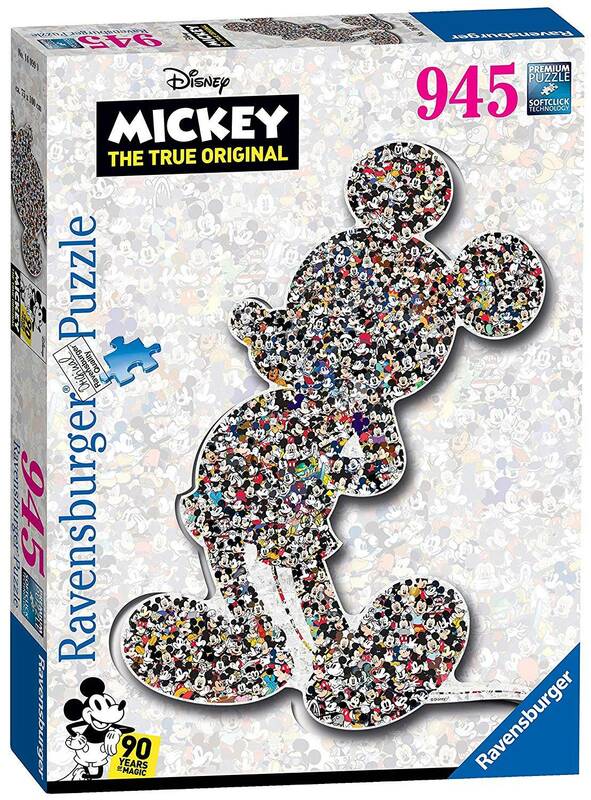 To celebrate Mickey's 90th anniversary, we've created this extra-large shaped puzzle. 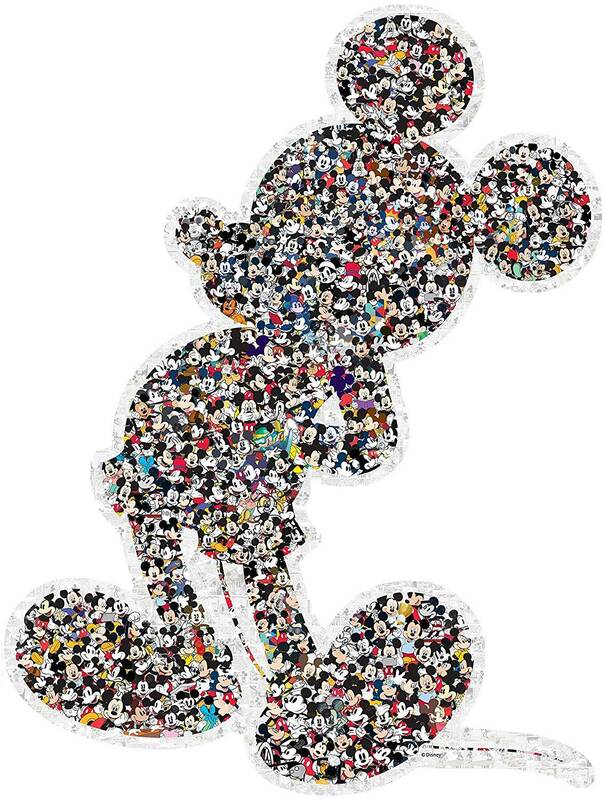 Created by combining images taken from across 90 years, the puzzle builds into a 1m tall silhouette of the great mouse! 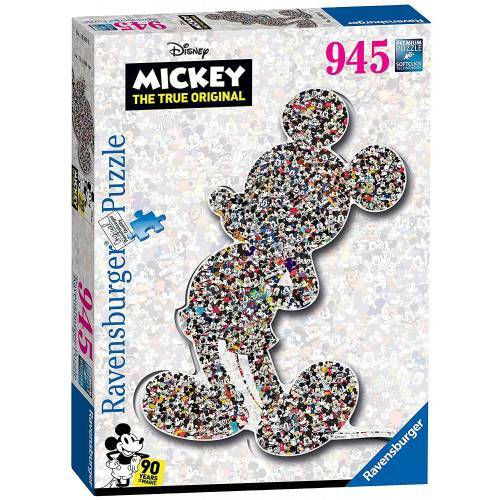 We've lost count of the number of different Mickeys shown in the puzzle, but rest assured that you'll find plenty of fun and challenges along the way. 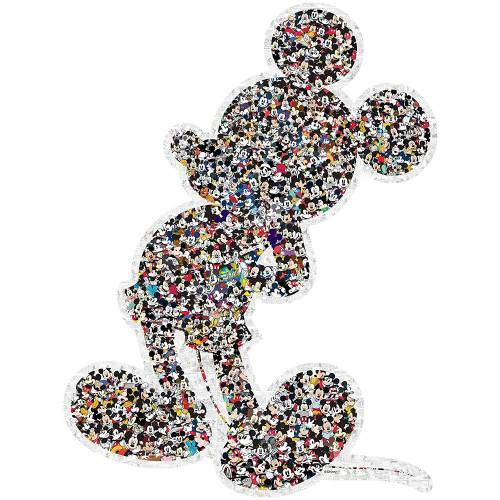 A truly mouse-tastic gift for any Mickey fan! Finished puzzle measures 75 x 100cm. High quality 945 piece shaped cardboard jigsaw puzzle. Suitable for ages 12 years and up. Made from strong premium grade cardboard, with linen finish print to minimise glare on puzzle image.